Throughout the first three decades of the 20th century, the neoclassical paradigm conquered the economic theory “in a way, as full as the Inquisition to Spain” (8). But in 1929 happened an event that directly put in check the neoclassical system: the famous Great Depression of the American economy. 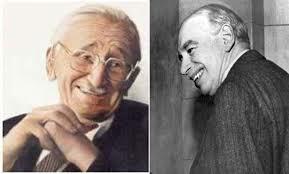 It is in that difficult context that appears one of the greatest geniuses of the economy: John Maynard Keynes. Thus, the economists, rather than strive to understand the complexity sobresimplificaron the Keynes’s ideas and, thus, they neutralized all the elements that could mean a return to the political economy and its multidisciplinary and realistic epistemology. In this context, it is convenient to define politically neoliberalism comparing it historically with liberalism. When in the late eighteenth century liberalism advocated the legitimacy of capitalist society, it did from a revolutionary position against the status-quo, ie against the feudal and mercantilist privileges. In contrast, when in the middle oftwentieth century neoliberalism endorses the legitimacy of capitalist society, it does from a conservative position in favor of the status quo, ie, against any kind of society that could replace or overcome capitalism. But neoliberalism is not only going to combat against socialism but also -sometimes - against Keynesianism and the position of this in favour of the intervention of the State in the economy. In this way, in the 1970s, the loss of dynamism in the developed economies, the fall of profit rates and stagflation were the perfect opportunity to neoliberalism in order to mount its attack on the welfare state. After years of Keynesianism, neoclassical economic theory regained its dominant role. With their mathematical models of growth and its macroeconomics models, also mathematical, based on rational expectations, neoclassical economic theory returned to "demonstrate" mathematically the self-regulating nature of the market. Milton Friedman and Robert Lucas were the exponents of this successful fight by the monopoly of the legitimate knowledge against Keynesianism and in favor of monetarism and the New Classical Macroeconomics, with its assumption of the “rational expectations”, did completely ineffective and unnecessary the Government Intervention in the Economy. 12. Quoted by: Mariel Manes, "Keynes method: an analysis of the general theory in the light of its methodology", note of class of the course of macroeconomics II, Universidad Nacional de la Plata, La Plata, August 2005, p.2. 14. See: R. M. Hartwell, A History of the Mont Pelerin Society, Ed. Liberty, Indianapolis, 1995.